Most of the time I’m out in the “field,” somewhere in a village, finding shrines, attending rituals, and playing and singing with field collaborators. My recent work has given me opportunities to transcribe recordings from those outings and interpret their meanings. Even more recently though, I have been digging through an archive in Jinja that holds many materials written by others who have done work similar to mine. 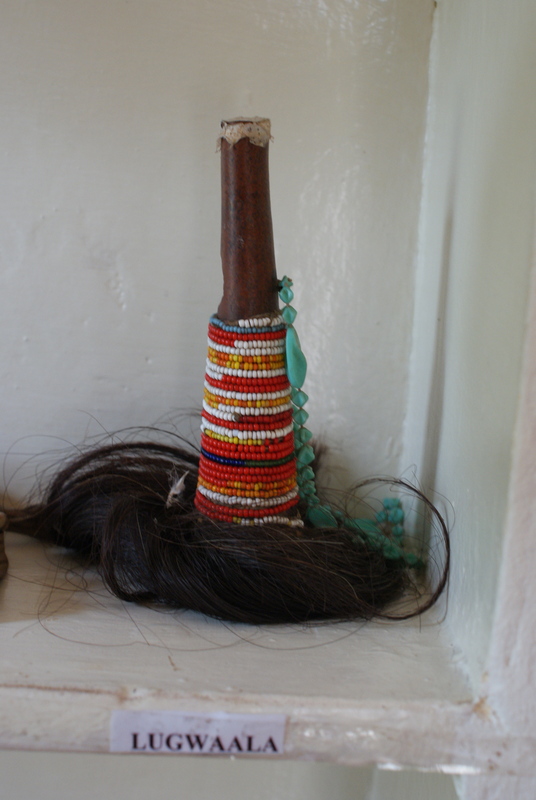 Welcome to the Diocese of Jinja’s Cultural Research Centre. 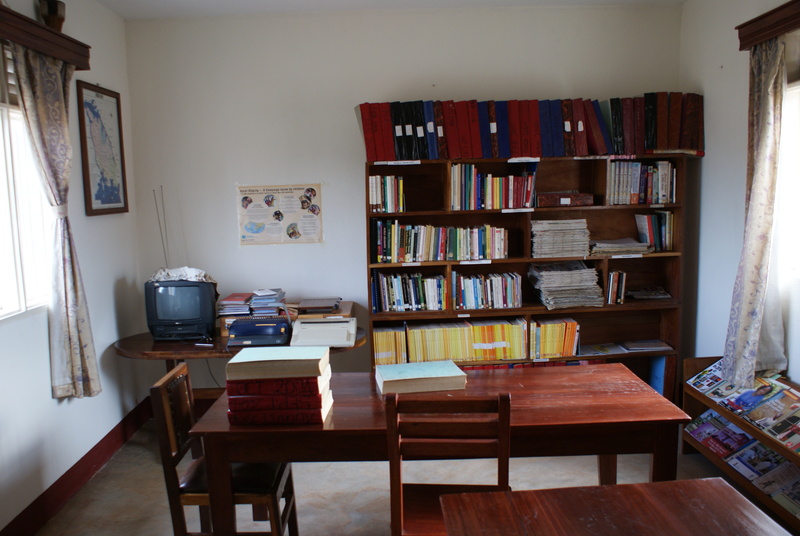 The lion’s share of the relevant materials I am finding in this archive are undergraduate or masters’ theses by students at various seminaries around Uganda. Because these students were interested in religion, I have found a wealth of materials on traditional religion or comparing traditional religion and Christianity. Over the last couple of weeks, the staff has graciously allowed me to take over 1500 photographs of these documents, which I have subsequently compiled into pdfs for later reading. The variety of materials is fascinating: they have everything from hand-written final essays for undergraduate courses to sophisticated theses complete with photographs. There’s quite a bit of overlap in the subject matter, but not in the precise locations of study. This gives me all kinds of ways to compare what I’m seeing with what others are seeing now and have seen in the past. I also secured permission to get inside one of the display cases to take pictures. Most of these are things I’ve seen elsewhere, but they’re nicely labeled and displayed here. It was some kind of sign that these are the things I saw when I walked into the front lobby of the CRC! Moreover, the staff is wonderful, and I have been so productive in this place. 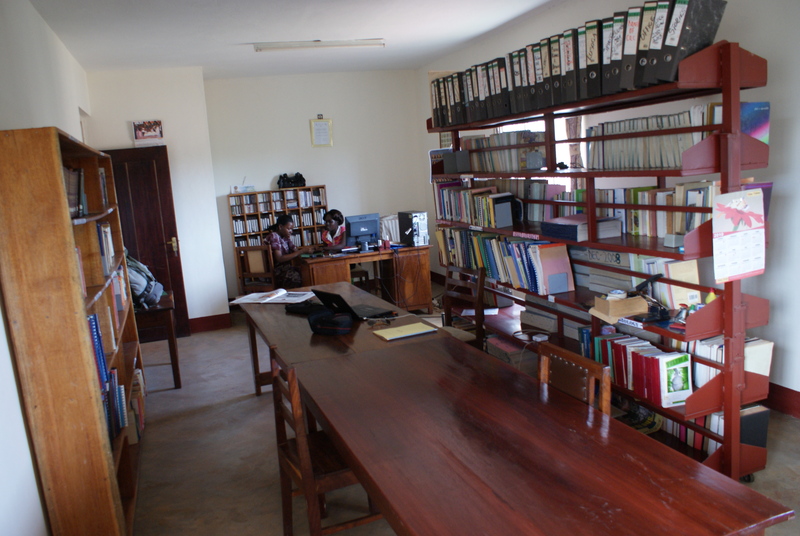 Thanks to the Diocese of Jinja for one of the best-organized library/archive facilities in the country.